Abbott’s ability to find horror in the mundane has served her well. 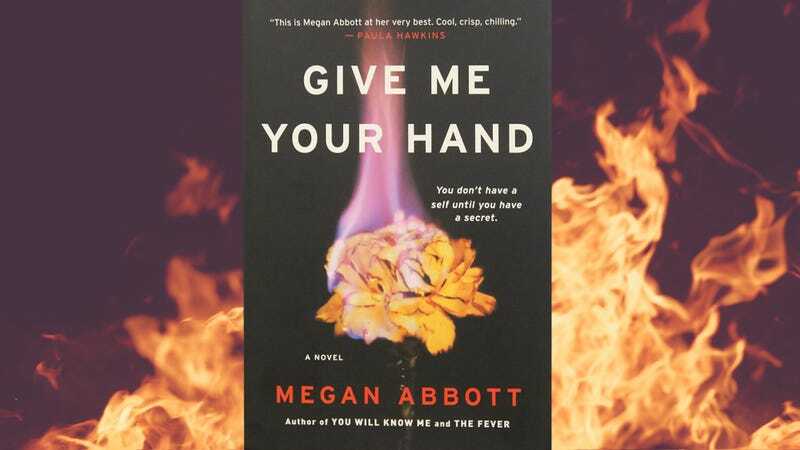 A TV adaptation of Dare Me, her dark book about high school cheerleaders, is set to start filming next month, and rights were recently purchased for adaptations of both Give Me Your Hand and her gymnastics murder mystery, You Will Know Me. 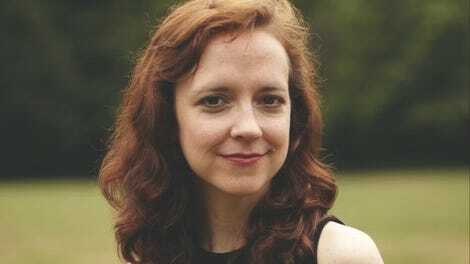 Abbott’s new work combines her fascination with high school girls with a bit of the medical drama found in The Fever. The story follows Kit Owens, alternating between her perspective as a poor high school student hoping to find a better life by pursuing a scholarship for women in STEM, and as a young woman 10 years later as she competes for a spot in a research study that could mark a turning point in her career. Looming large in both timelines is Diane Fleming, Kit’s high school best friend who kindled Kit’s ambitions and now has the power to keep them from coming to fruition. The high school portion is compelling throughout, showing the brutal class divides that keep people with the same potential from realizing similar results. Kit doesn’t achieve as much academically or athletically as Diane because her time is divided between going to school and working at a fried-chicken restaurant to help her mom make ends meet. She struggles to see a future for herself beyond that of her beaten-down co-workers and dying town. Diane may be a peer, but she also fills the role of valuable but dangerous mentor, a dynamic Abbott captured so well in her noir Queenpin. The young Kit sees Diane as perfect; the older version knows better and wants nothing to do with her. One downside of this friendship is that the secret that drove the two of them apart stays hidden for too long, made worse by the somewhat tedious nature of the book’s first third. The present-day sections are focused on Kit’s dull work life as she tries to impress Dr. Severin, the study’s leader and the lab’s only other female employee, before Diane shows up to throw everything off balance. These passages are meant to show the tension of a workplace awaiting big news, and the varied ways people compete and collaborate. But Abbott spends too much time foreshadowing her reveals without upping the stakes, making the narrative drag. As soon as the shape of the plot starts to seem frustratingly predictable, however, she changes gears, the story picking up and not slowing down again. Abbott is at her best when delving into the darker places of women’s psyches. She delivers here with the dysfunctional dynamics among Kit, Diane, and Dr. Severin. The coveted study will examine the causes of premenstrual dysphoric disorder, a more severe form of PMS that has sometimes been used to explain women harming themselves and others. Here PMDD serves as a powerful symbol for women desperately trying to find control and avoid stereotypes related to their biology, and as a critique of mainstream medicine ignoring issues that only affect woman. Abbott also address the power of imposter syndrome, as Kit tries to prove that if she is given a slot in the study, it’s not just because she is a woman. In an evocative speech, Dr. Severin references Lady Macbeth’s plea to “unsex me” as something she’s heard from women looking for a cure to their menstrual afflictions. But Shakespeare’s villainess really wanted to be less feminine so as to be more capable of murder, and Abbott makes the reference because she knows that trade-off is far from necessary. Time jumps become less frequent as most threads are resolved in the past while tensions in the present heat up. But they still serve to show how depressingly consistent class struggles are over time. Poverty isn’t something that can be overcome with one lucky break, and Kit continues to struggle to compete against co-workers with secret advantages. Give Me Your Hand is at its best when Kit is facing challenges both extraordinary and mundane, worrying about backbiting colleagues while also being grilled by a detective whose Columbo-like “one more thing” question is devastating. Throughout it all, Abbott keeps readers off guard with unsettling scenes of death, and perhaps even more disturbing inner monologues. From a high school senior’s tiny bedroom to a clean and orderly lab, Abbott can bring horror anywhere.